Drive lanes succumb to non-stop, overwhelming weight from massive overhead cranes at one of the busiest ports in the nation. 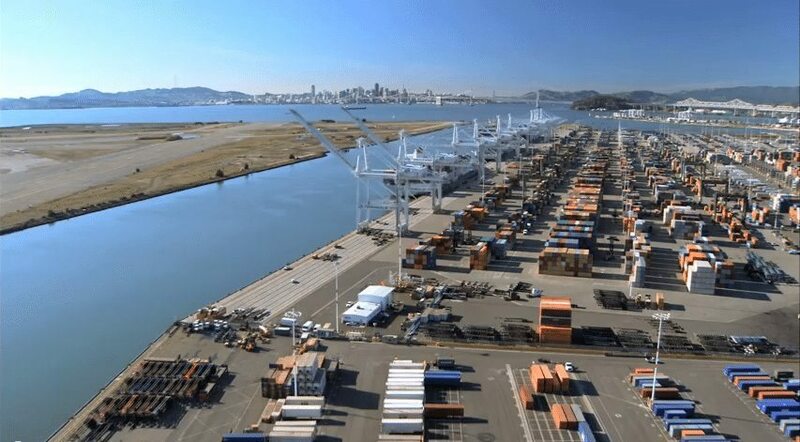 The Port of Oakland was the first major port on the West Coast to build terminals for the then-revolutionary container ships, becoming the second largest port in the world in container tonnage in the late 1960s. The port averages over 2 million containers along with almost 2,000 vessels moving through on an annual basis. To move the enormous volume of containers through the port terminals required a new generation of cranes. One of these behemoth cranes, called a straddle carrier, is used for stacking and moving containers at port terminal locations. 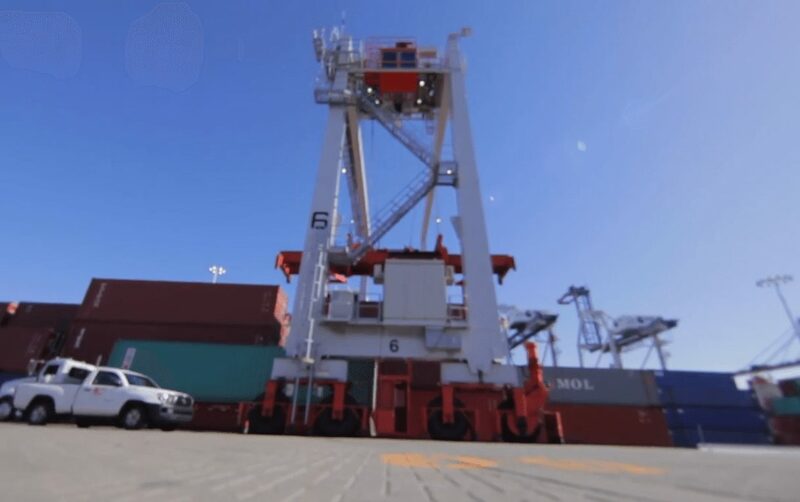 Straddle carriers tower over port terminals and can lift up to 66 tons of freight, that’s equivalent to 22 full size pickup trucks. First, safety for both terminal employees as well as the contractor was of utmost importance. 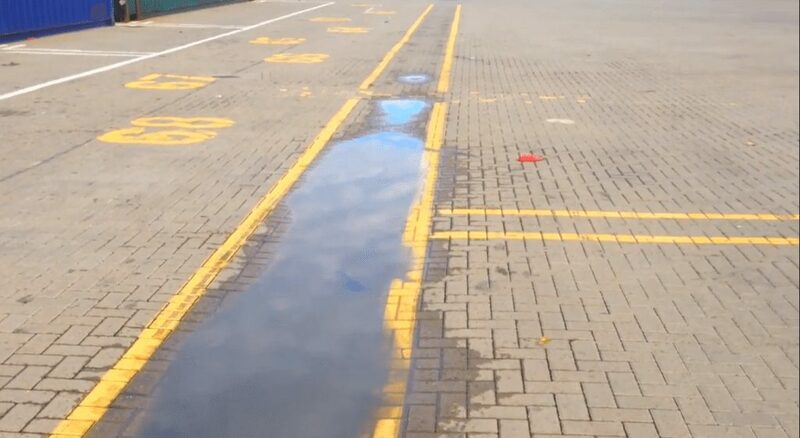 Second, it was imperative that the repair not cause disruption to port operations. After evaluating all factors, URETEK’s patented Deep Injection process was chosen as the ideal solution to repair the terminal sub base. URETEK’s patented, Deep Injection® Process is a non-destructive solution to increase soil load bearing capacity through densification of weak soil strata beneath a structure or surface without major debris or construction equipment involvement. The ultra dense, expansive, structural grade polymer is injected through 1/2” tubes at precise depths. URETEK’s polymer cures quickly, reaching 90% strength in less than 15 minutes, immediately restoring the load bearing capacity of port terminal pathways and drivelanes. 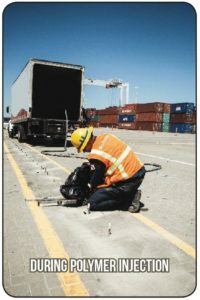 As a pioneer in the development and implementation of the intermodal freight transport system, the Port of Oakland played a vital role in revolutionizing a safer, faster, more efficient way to be a global shipping powerhouse and continues to move forward with that mindset to keep operations running safely, and on time to the world.